The springtime colors continue to flourish around the city. 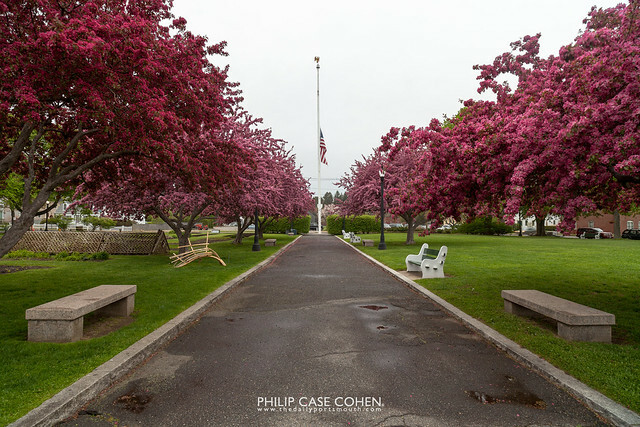 These trees lining a walkway through Prescott Park are in full bloom, accentuated by the green grass and the overcast skies above. I’m always amazed at the opportunities around the city to sit and take in the many views – both historic and natural. I just love your pictures. and I look every day to see if I’ve received one. you have a fantastic eye for beauty. KEEP ON A TRUCKING.